The authentication profile is responsible for authenticating users. It is protocol agnostic, but in this tutorial we'll be using it together with the Token Profile for OAuth and OpenID Connect. If you haven't done the First Config yet, do that before continuing with this setup. To create an authentication profile, select the Authentication dropdown from the top-bar and click New Profile. Type a name (eg: authentication) for the profile, and a path prefix. The path prefix is used on all endpoints exposed by this profile. Then click Next. In the next screen, we need to define a datasource. Select the data-source you created in the previous steps from the dropdown. The email and SMS services are not mandatory and can be left for later. Click Next when done. We need to create or upload keys used for signing. To create new keys, select Generate New Key and enter the details as in the example above. Then click Next. Select the nodes to deploy Curity to. In the previous tutorial we created the runtime node called admin, check that and click Next. The integration protocol, is used when communicating with the profile, since we'll use the Token Service, select Curity Token Service and click Next. The profile is now ready, you can commit here by clicking Commit or later but clicking Later. Click Commit to apply. The authentication profile is now ready, but doesn't have any means of authentication setup yet. This is covered in the Authentication section later on. 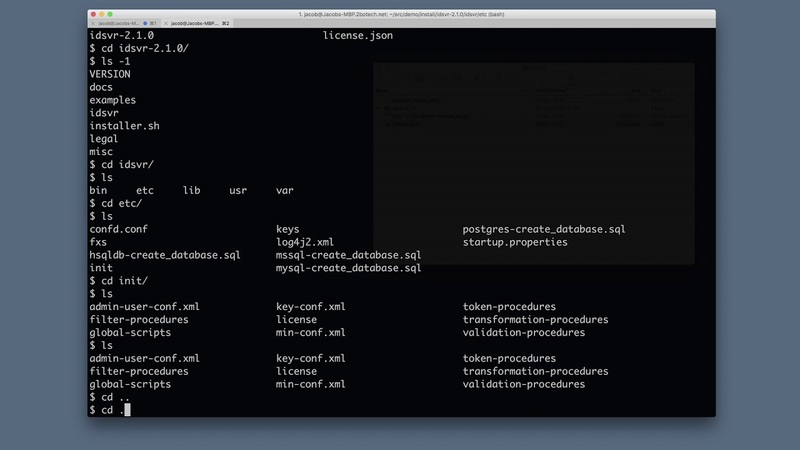 This tutorial walks you through a basic configuration. In the end you will have a working service ready for development.